4 Wheel Parts will have the 2×2 portable CNC Machines for sale in HammerTown at the 4 Wheel Part showroom-on-wheels with immediate financing options. Three packages are available (see below) that reflect a $500 discount, in addition to saving an additional $250 or $400 in shipping when picking up in HammerTown. 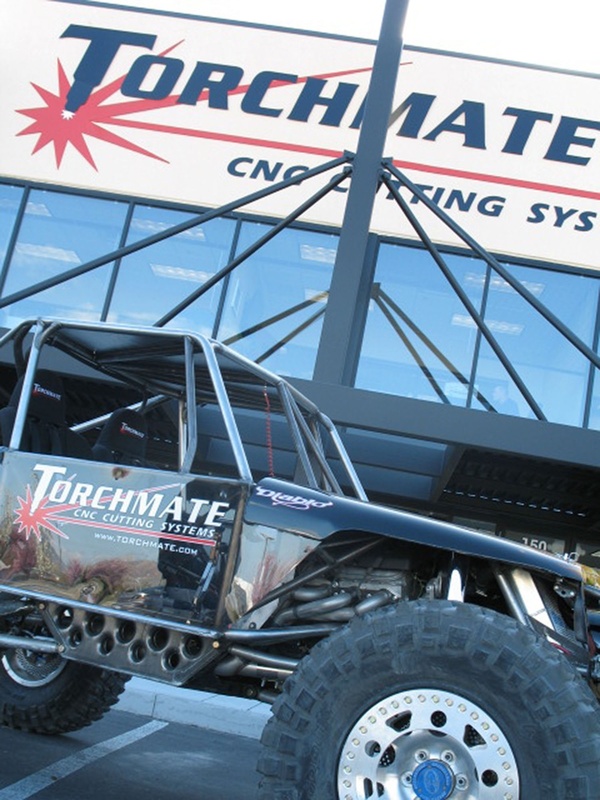 “We are excited to be launching the relationship with Torchmate through this special lakebed promotion including the discount, free shipping and immediate financing,” said Brent Goegebuer, 4 Wheel Parts Director of Marketing. 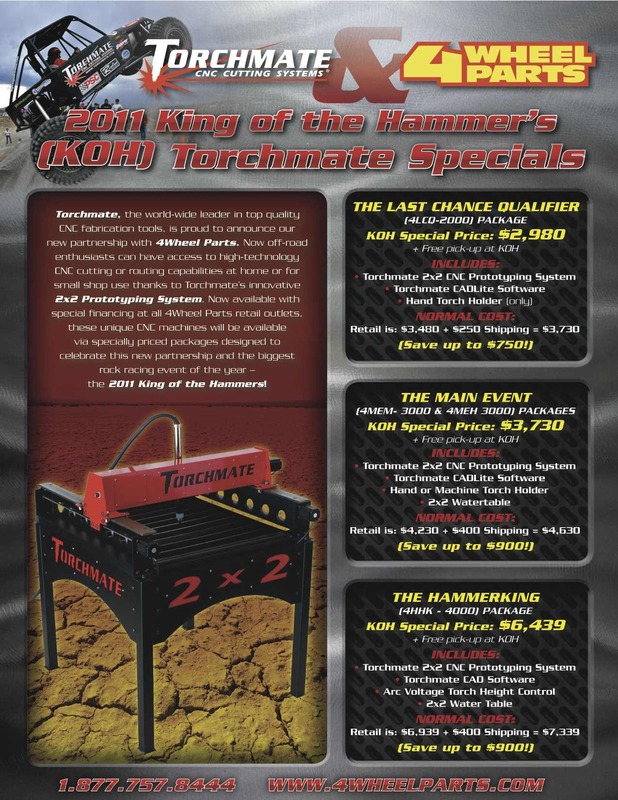 “4 Wheel Parts is proud to add Torchmate to their list of quality parts and make it easy to service Torchmate customers through its 55 facilities across the US.” Those not attending the race can also receive the discount by ordering one of the 2X2 CNC systems over the phone from now until Friday February 11. 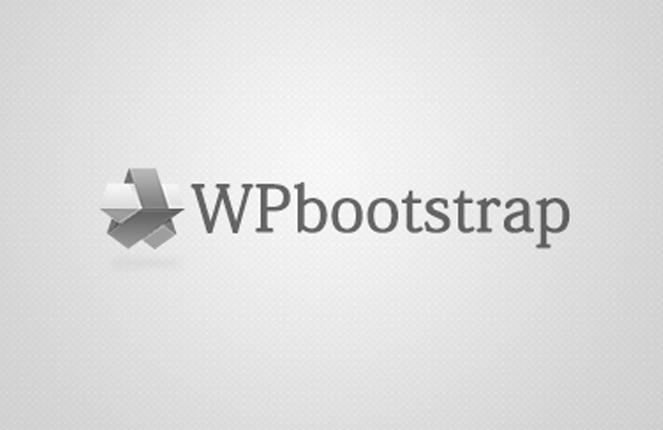 All orders must be paid in full by February 11 to receive the discount. 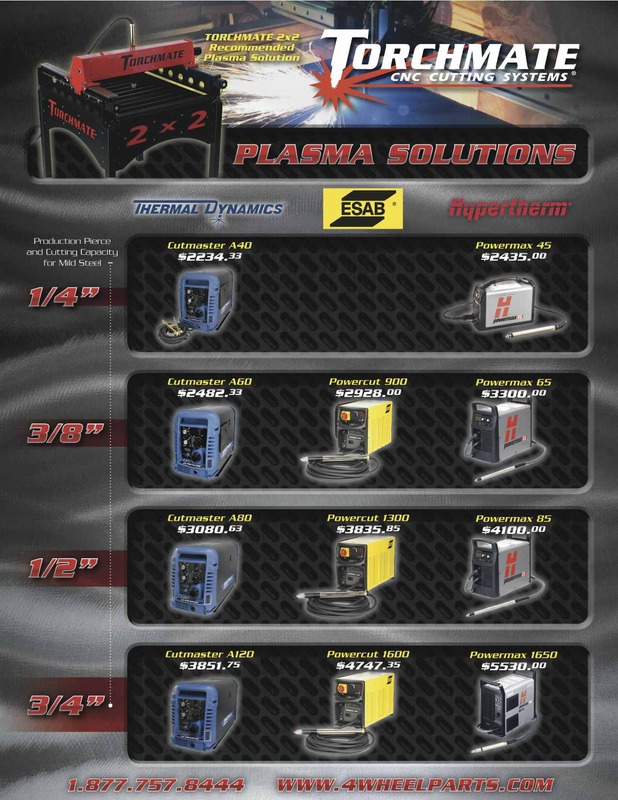 The Torchmate Racing team and staff will be available in HammerTown the week of the event to answer any questions about the CNC Cutting Tables, Water Tables, Plasma Cutters and racecars.